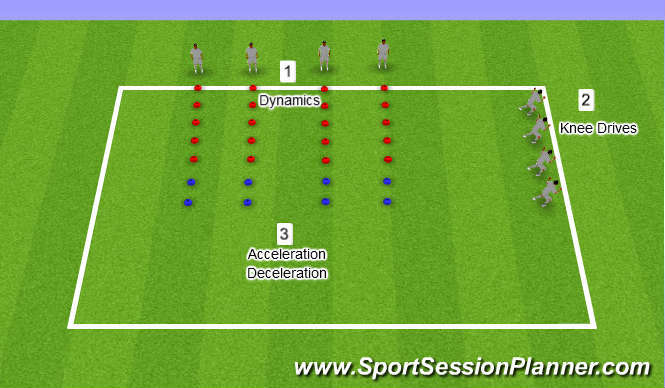 Stopping Zones - sprint out through red zone, stop in blue zone. Forward two cones, back one. Forward three cones, back two and through.